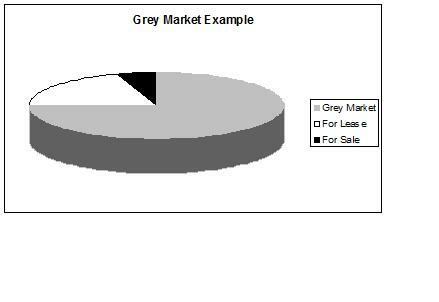 King Industrial Realty, Inc./CORFAC Int'l: Have you heard about King Industrial Realty’s Grey Market Program? Have you heard about King Industrial Realty’s Grey Market Program? King tracks over 650 million square feet of space in the Atlanta Industrial Real Estate market using PinPoint, our proprietary database. When a client is looking to purchase or lease a property, PinPoint allows us to show them all possible options. Our grey market program closes the gap between potential availability and actual availability by targeting specific projects to determine if a potential availability exists. It is a proven technique that has been used repeatedly by King agents. With the client’s input, we are able to take the following information and steps to find the building or space that best suits the client’s needs. Criteria: Clients specify or target potential locations of interest, provide agent with their needs such as total square footage, ceiling height, rail, outside storage, etc. Identify Target: Utilizing PinPoint, we can identify potential buildings or spaces that are currently occupied or used that closely match our client’s established criteria. Marketing: King agents know who to contact and are able send out notice of a client’s potential need very quickly and efficiently because of all the information tracked through PinPoint.